The Canadian Federation of Clinical Hypnosis/Fédération canadienne d'hypnose clinique is made up of licensed health professionals in Alberta, Québec, and Atlantic regions, who are trained in the responsible, appropriate and ethical use of hypnosis. Membership within the Canadian Federation of Clinical Hypnosis is acquired by becoming a full member of a CFCH Provincial Society including, CFCH - Alberta Society, CFCH - Atlantic Society and/or CFCH - Quebec Society. The CFCH Provincial Societies are professional societies and all full members are required to be licensed health care providers. Publishes an open-access peer-reviewed online journal—the Journal of Mind-Body Regulation—a publication that seeks to provide a forum for advancing the relationship between sound science and effective practice. Provides valid information to the general public about the responsible use of hypnosis by qualified, licensed health professionals. Advocates for a strong community of health professionals interested in using and promoting hypnosis and provide our members with a newsletter Hypnosis Canada dedicated to that goal. Advertises the workshops of our Member Societies and other events of interest to our members on our website. Provides a public referral service for our members that allows site visitors to locate a qualified health professional in their area. 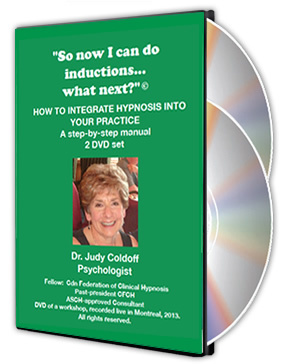 This is a step-by-step manual - 2 DVD Set by Dr. Judy Coldoff, Psychologist, Fellow: Canadian Federation of Clinical Hypnosis (CFCH), Past President - CFCH, ASCH - Approved Consultant. This is a DVD of a workshop, recorded live in Montreal, 2013. All rights reserved. The Canadian Federation of Clinical Hypnosis is pleased to announce its official online journal, “The Journal of Mind - Body Regulation”. 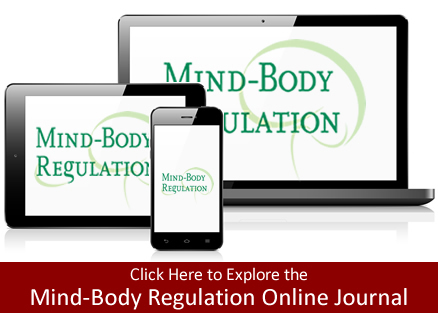 The Journal of Mind-Body Regulation (MBR) publishes interdisciplinary scientific articles spanning psychology, neuroscience, psychiatry, behavioral biology, cognitive science, therapeutics, and philosophy. Click on the link to register and explore this resource.